by Ben | Apr 22, 2019 | Other cool Stars Wars stuff! 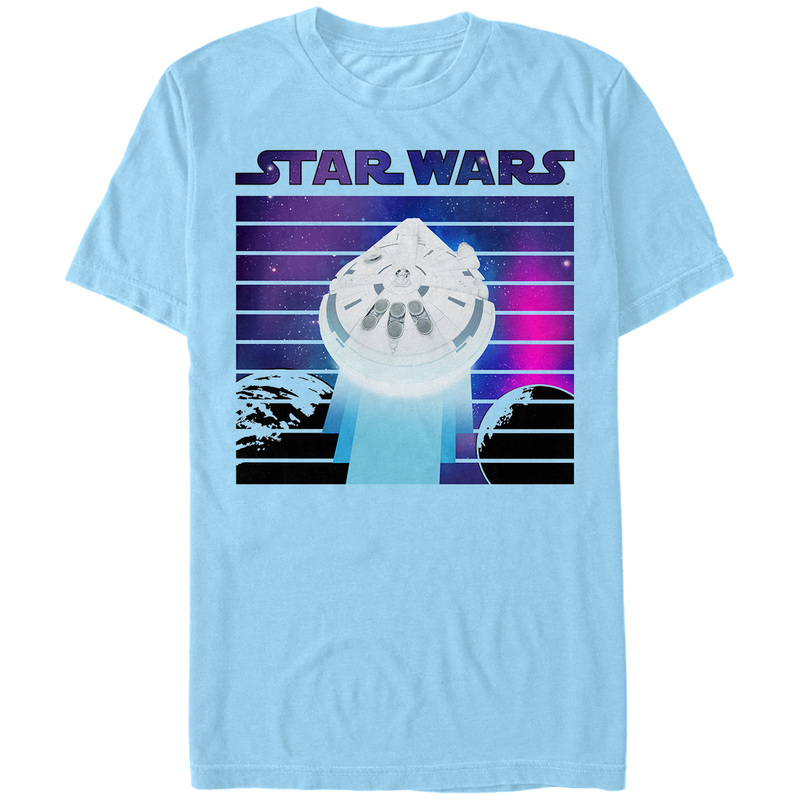 New Solo Movie Fifth-Sun Men’s Smoking Blaster T-Shirt available now! 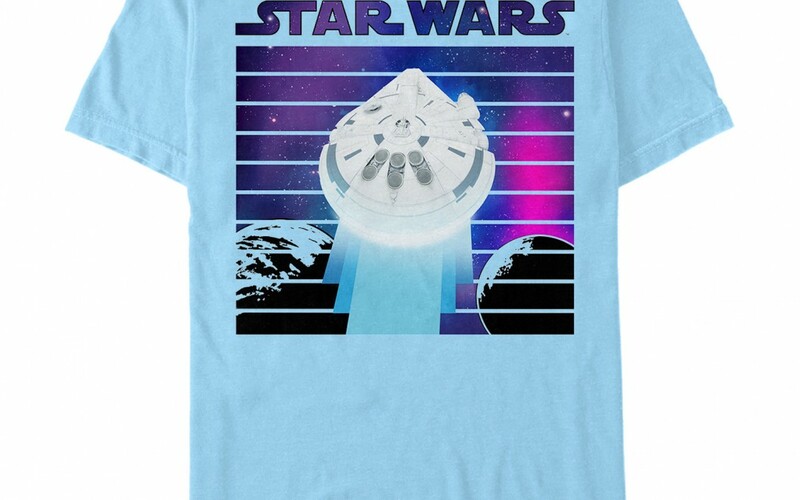 Walmart has debuted a brand new Solo: A Star Wars Story themed Fifth-Sun Men’s Smoking Blaster t-shirt! This t-shirt costs $26 and shipping is free. 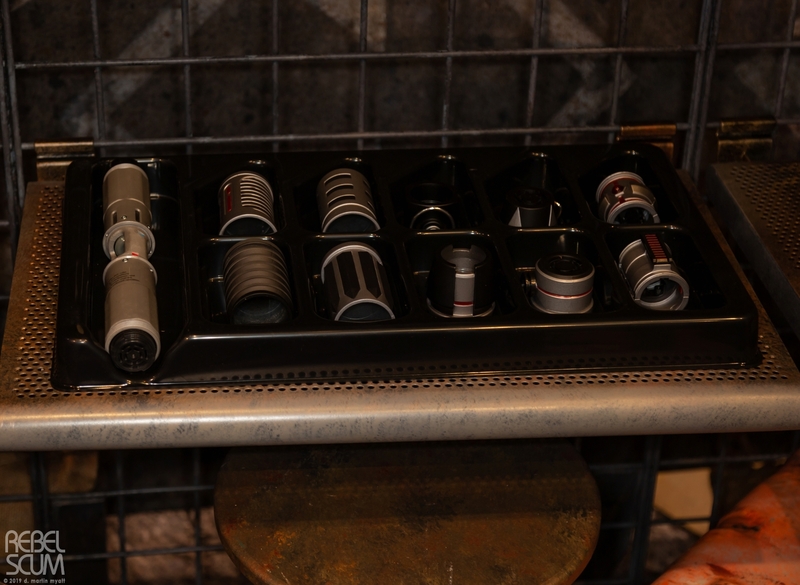 This weekend Star Wars Celebration Chicago revealed a large amount of brand new Star Wars themed merchandise, fan-customized vehicles, Airplanes, and merachandise from Galaxy’s Edge! 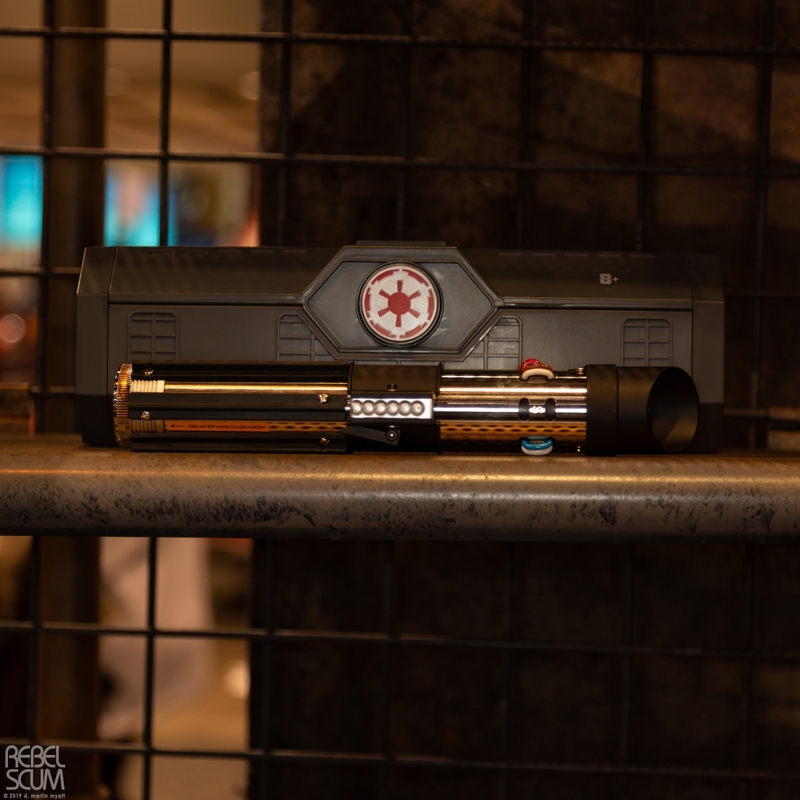 Rebelscum.com has unveiled some brand new merchandise from the Anovos booth. Some of those items I have already blogged about previously while there are some I haven’t blogged about before. 1. 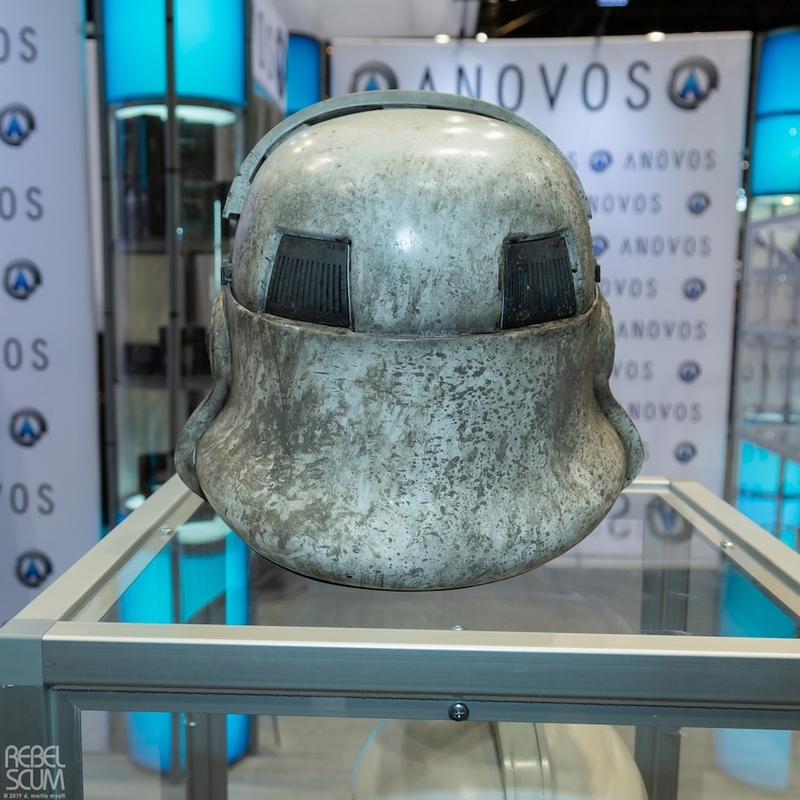 Star Wars Clone Trooper Phase II Helmet Accessory, $600 (!). 2. 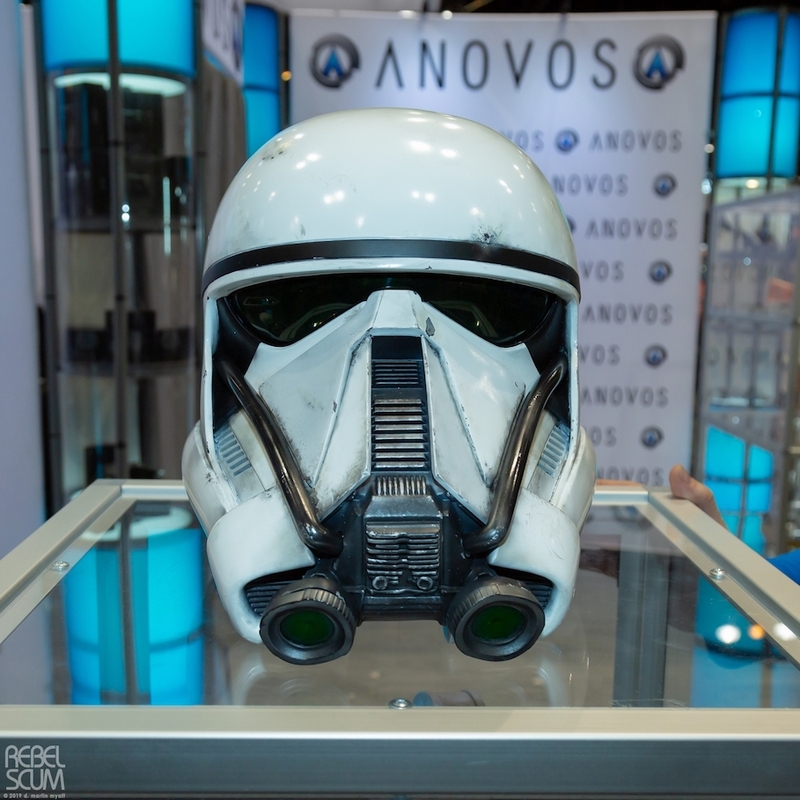 Solo: A Star Wars Story Imperial Patrol Trooper Helmet Accessory, $499 (!). 3. 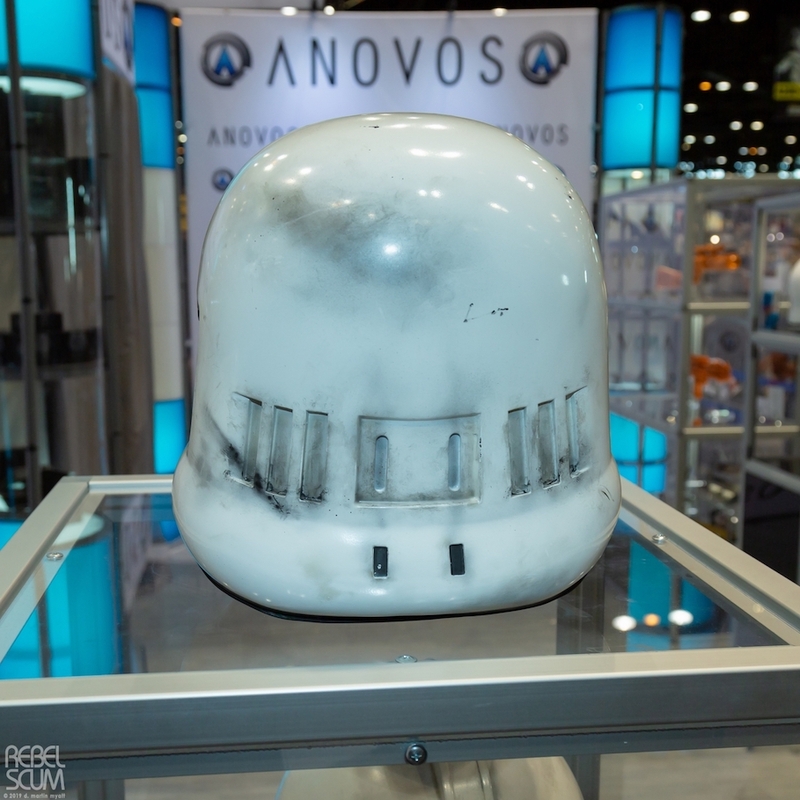 A New Hope Imperial Sandtrooper Helmet Accessory, $239.95 (!). 4. Return of the Jedi Boba Fett’s EE-3 blaster Kit, $225 (!). 5. 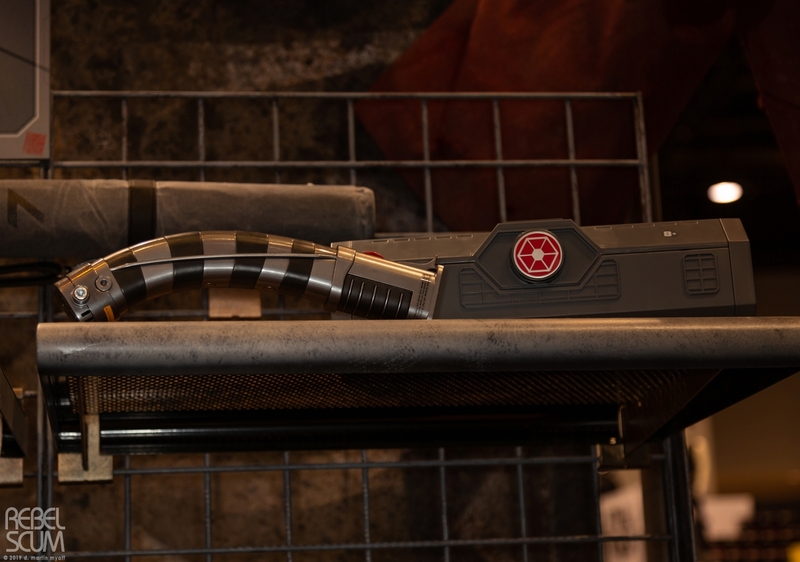 The Last Jedi Stormtrooper E-11 Blaster Kit, 199. 1. 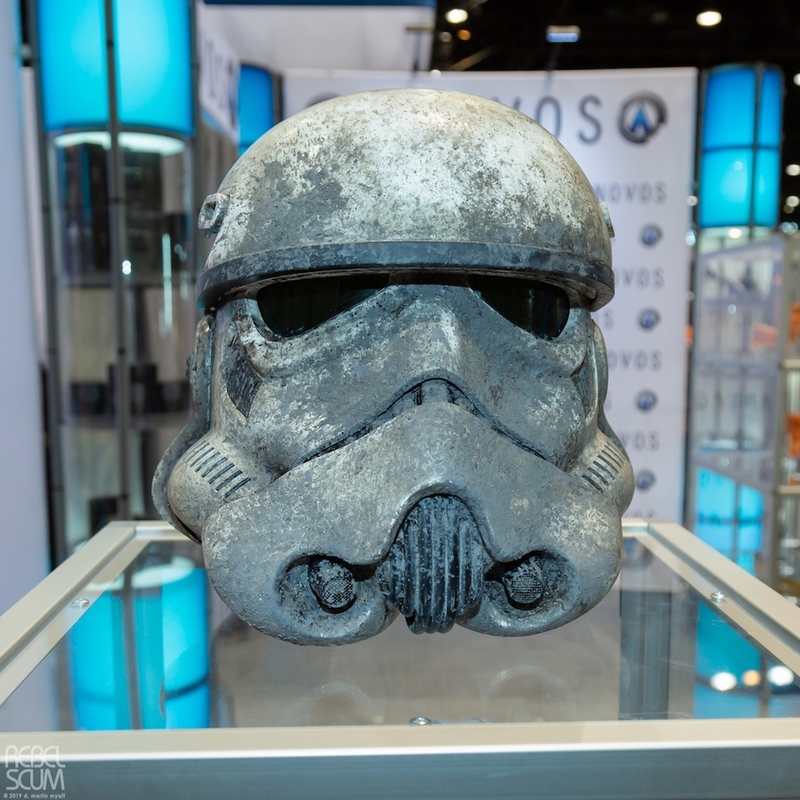 Solo: A Star Wars Story Imperial Stormtrooper (Muddy) Helmet Accessory. 2. Solo: A Star Wars Story Imperial Deathtrooper (White and Black) Helmet Accessory. 3. 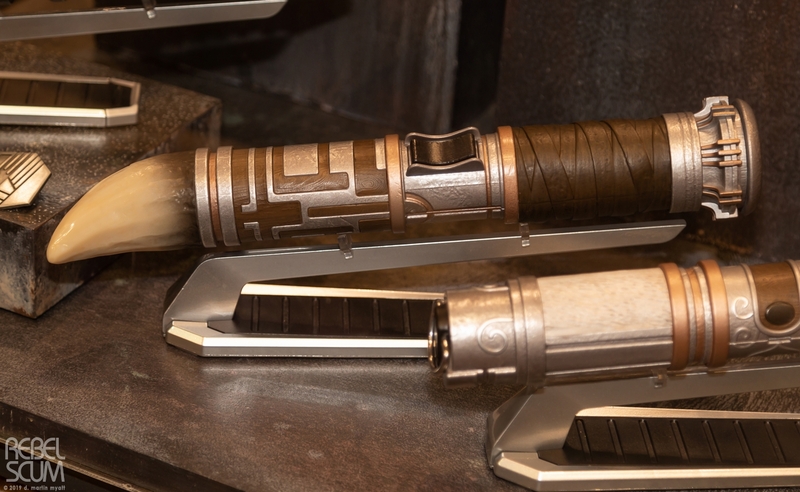 The Force Awakens Rey’s Staff Costume Accessory. 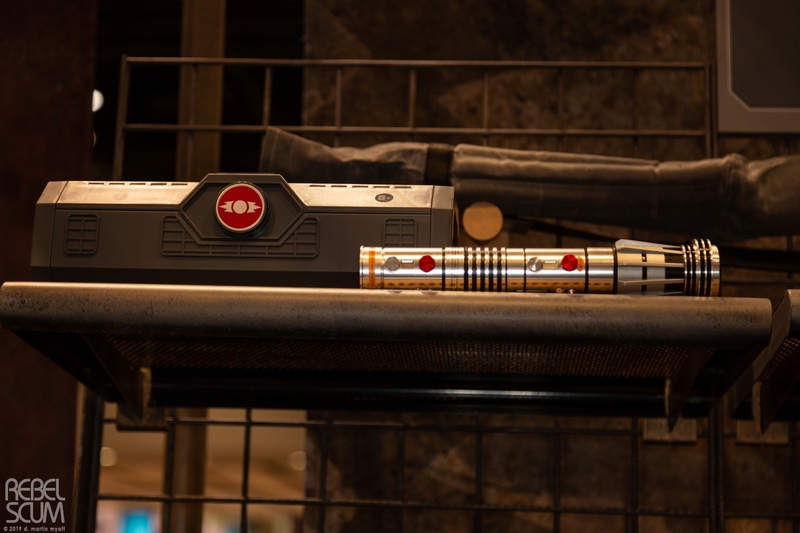 Rebelscum.com has unveiled more brand new merchandise from the Galaxy’s Edge booth including Jedi legacy lightsabers that will be available in the Disney parks. 1. 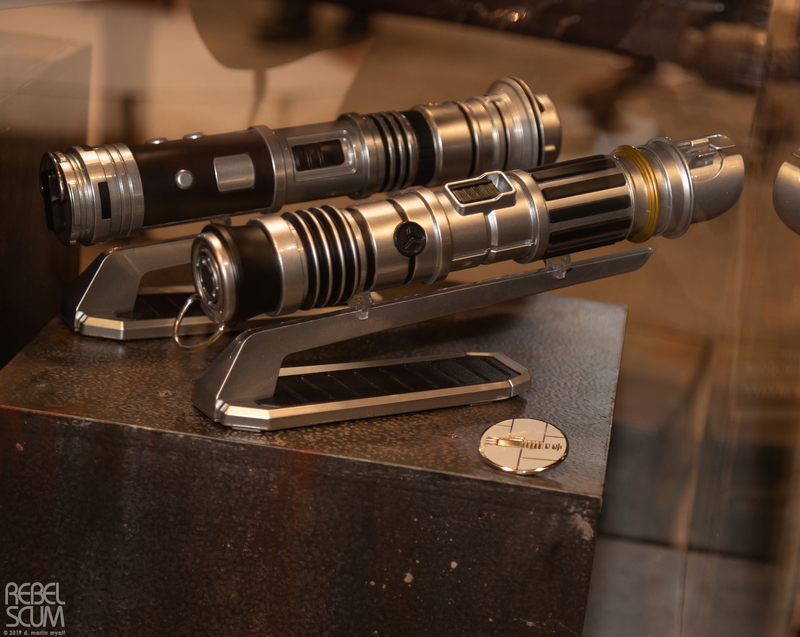 Star Wars Legacy Lightsabers and Lightsaber parts. 2. 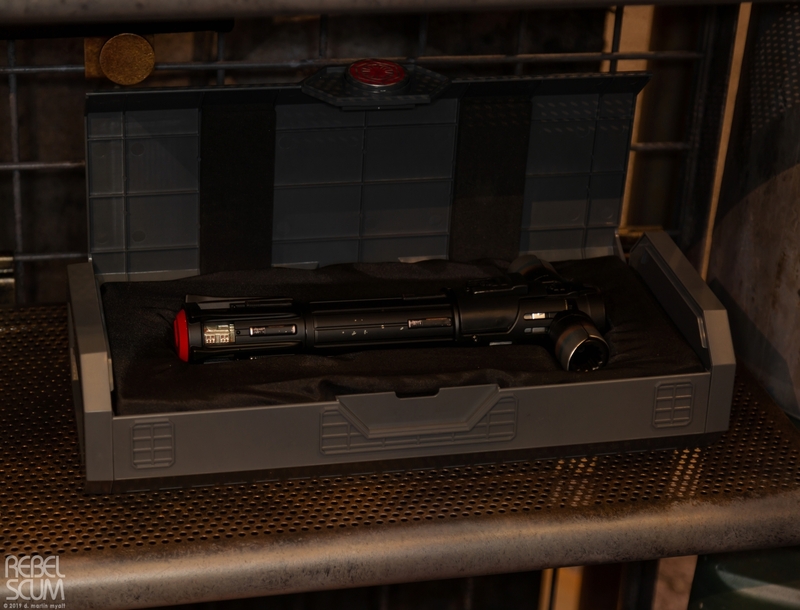 Star Wars Darth Maul’s Legacy Lightsaber. 3. 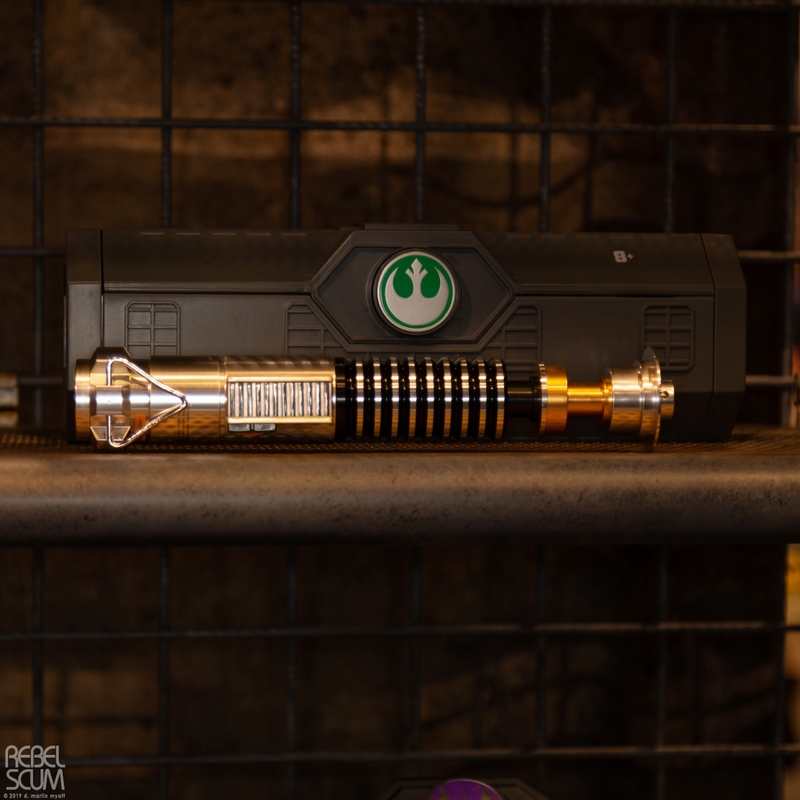 Star Wars Darth Vader’s Legacy Lightsaber. 4. 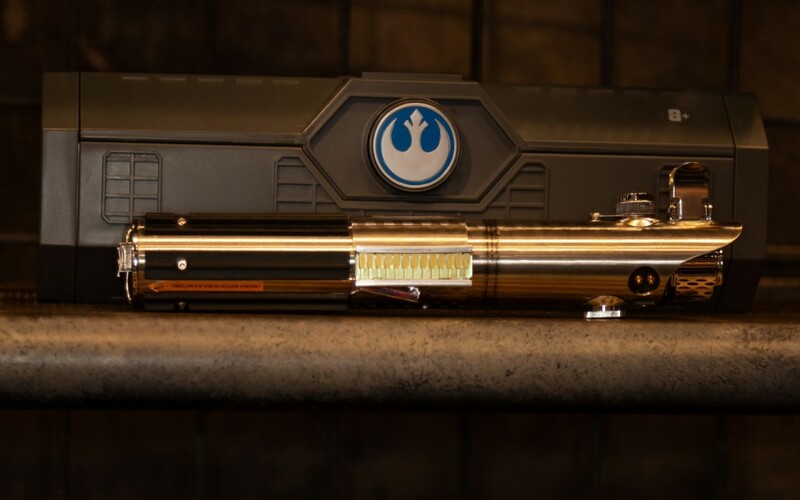 Star Wars Rebels Temple Guardian Legacy Lightsaber. 5. 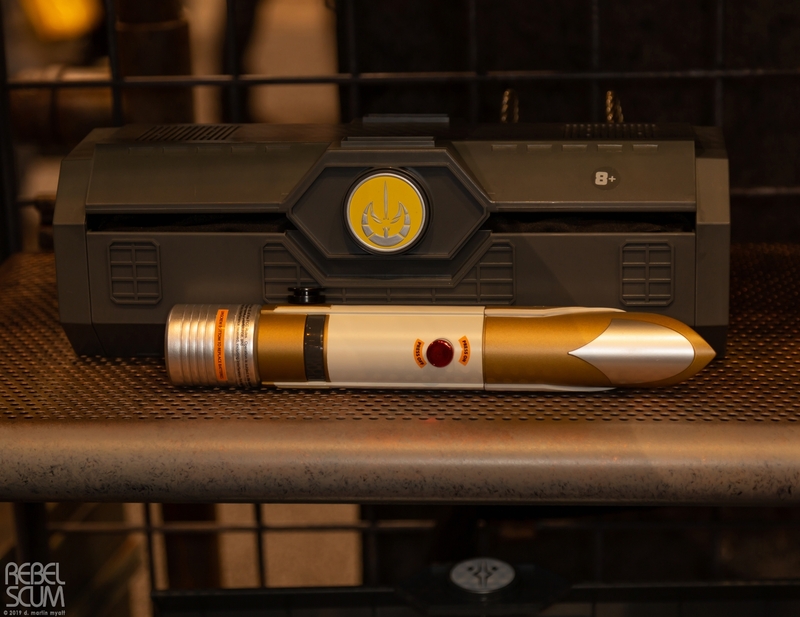 Star Wars Rebels Ahsoka Tano’s Legacy Lightsabers. 6. 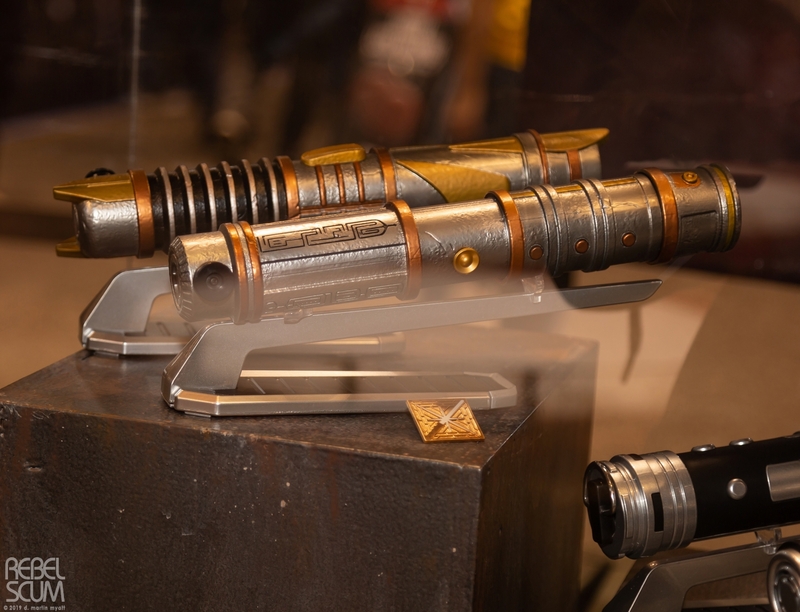 Star Wars Anakin Skywalker’s Legacy Lightsaber. 7. 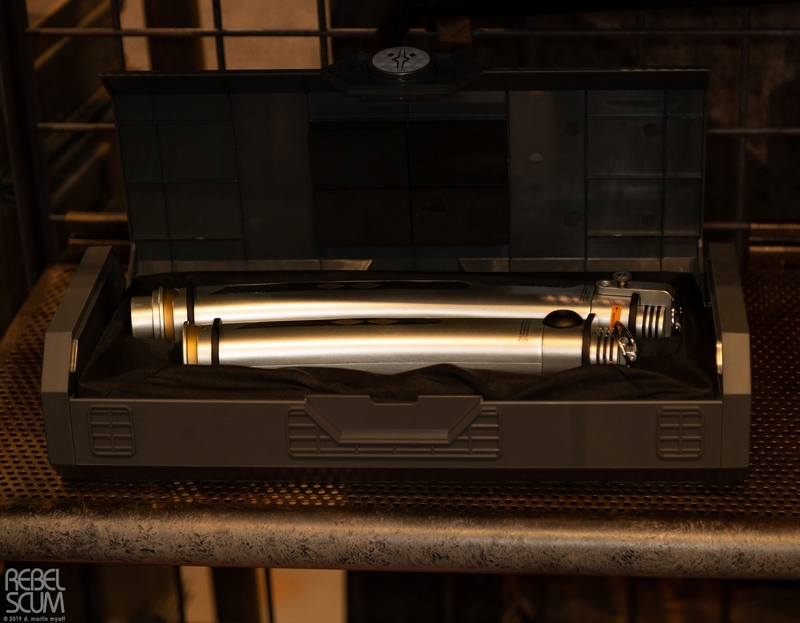 The Last Jedi Kylo Ren’s Legacy Lightsaber. 8. 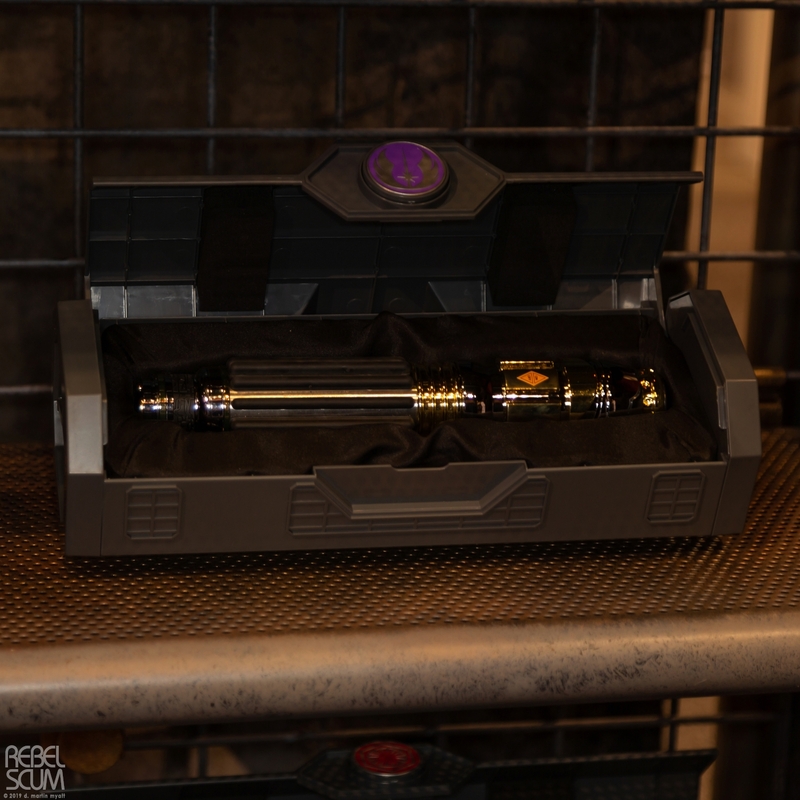 Star Wars Mace Windu’s Legacy Lightsaber. 9. 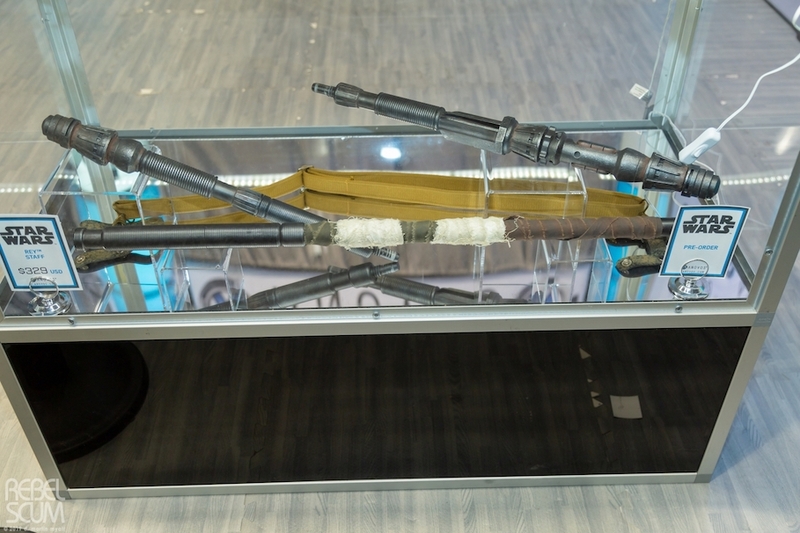 Return of the Jedi Luke Skywalker’s Legacy Lightsaber. 10. 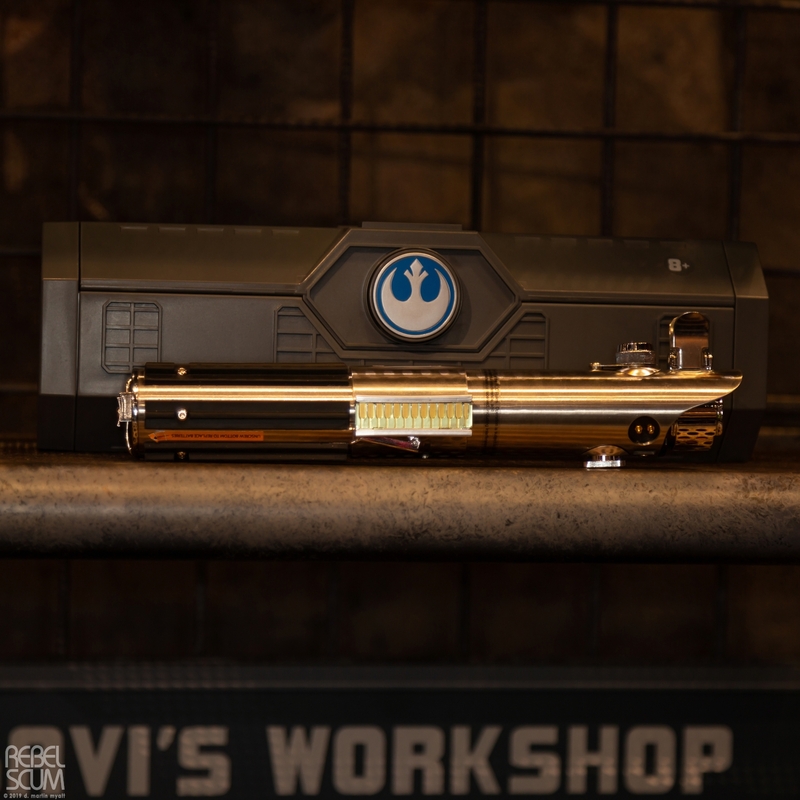 Star Wars The Clone Wars Asajj Ventress’s Legacy Lightsaber. 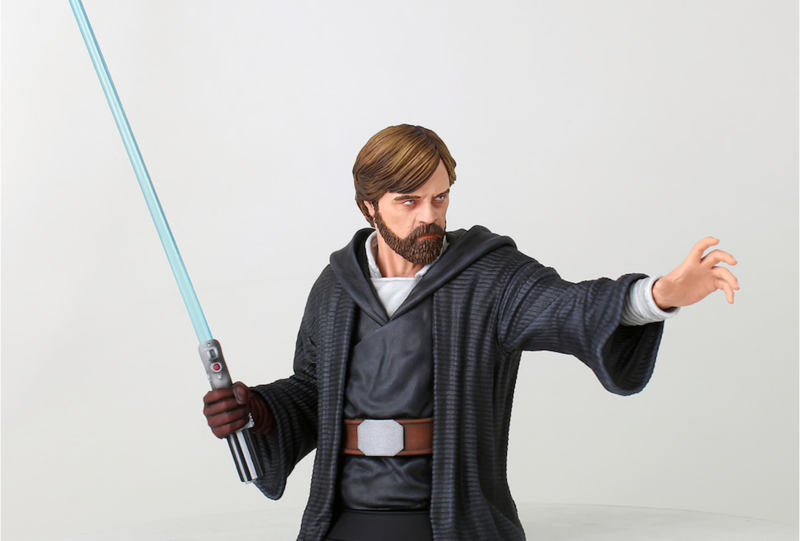 Gentlegiantltd.com has begun a pre-order for a brand new Last Jedi themed mini bust of Luke Skywalker (Crait) (tip of the hat to Jedinews.co.uk)! 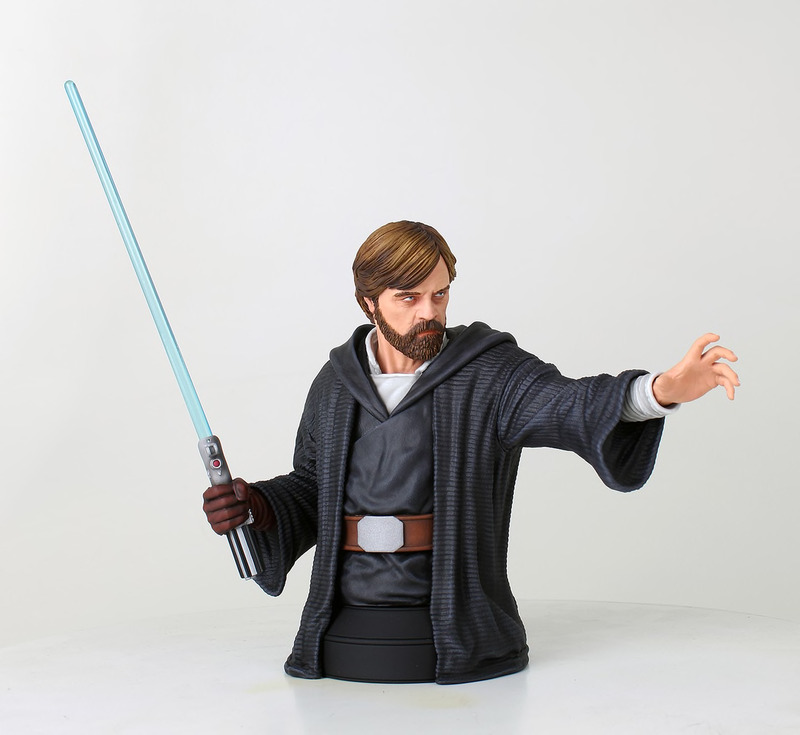 This bust costs $100 and is expected to ship during the 4th quarter of 2019. 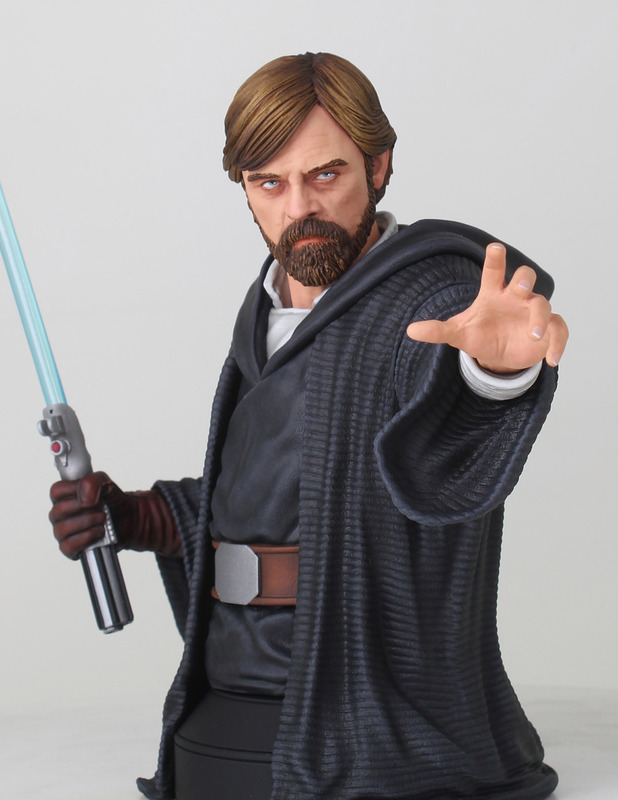 Use the Force, Luke! 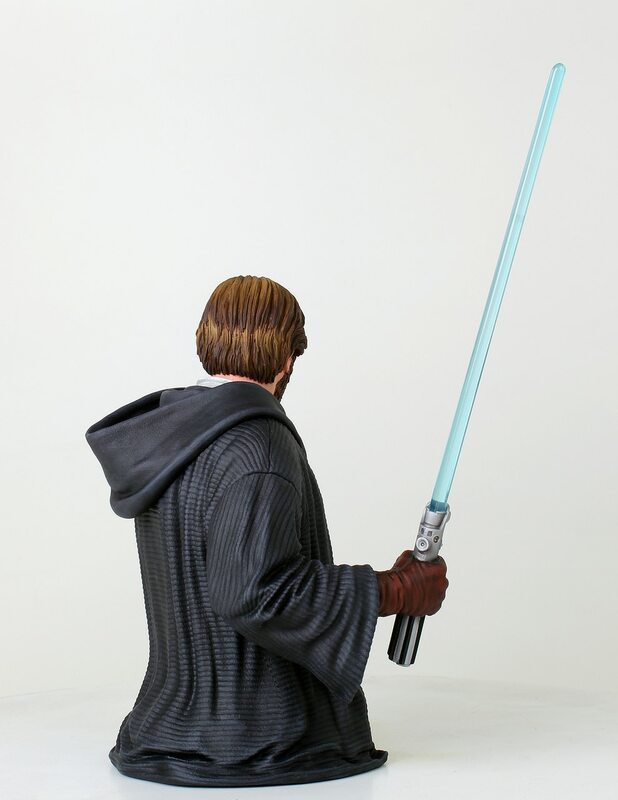 The Jedi master we all know and love is now the newest bust in the Star Wars resin bust line from Gentle Giant Ltd.! 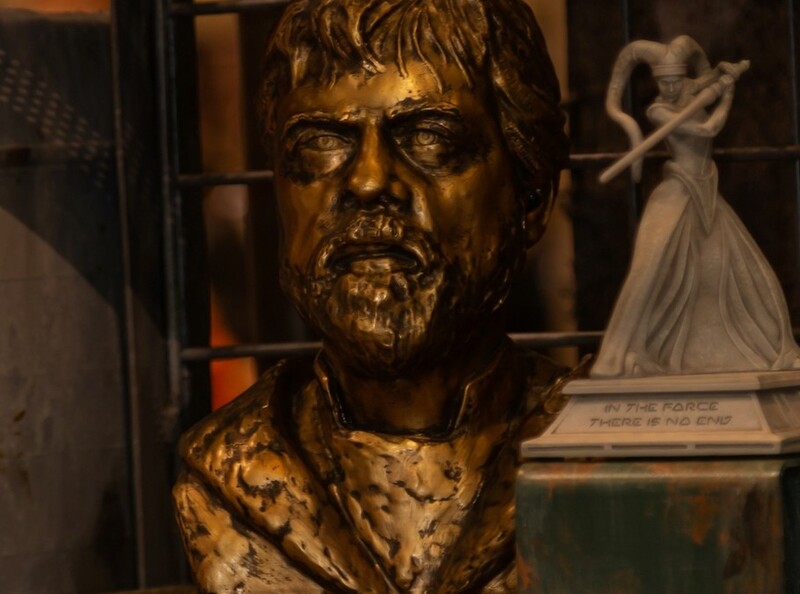 Based on his appearance in the final scenes of Star Wars: The Last Jedi, this bust of Luke Skywalker shows him with his lightsaber in one hand and is packaged in a numbered full-color box with a certificate of authenticity. 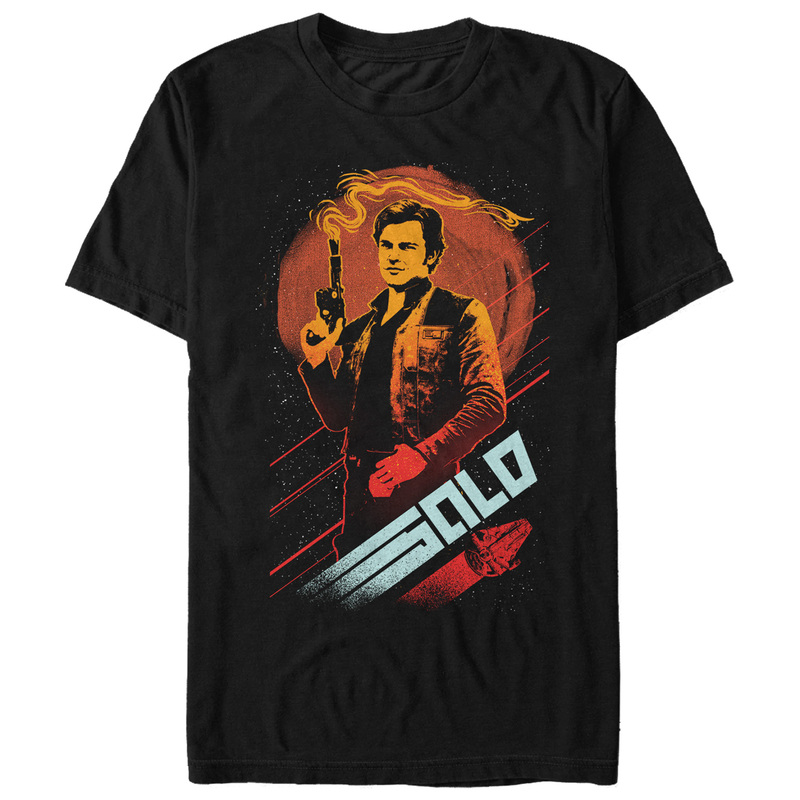 New Solo Movie Smuggler’s Paradise Men’s T-Shirt now available! 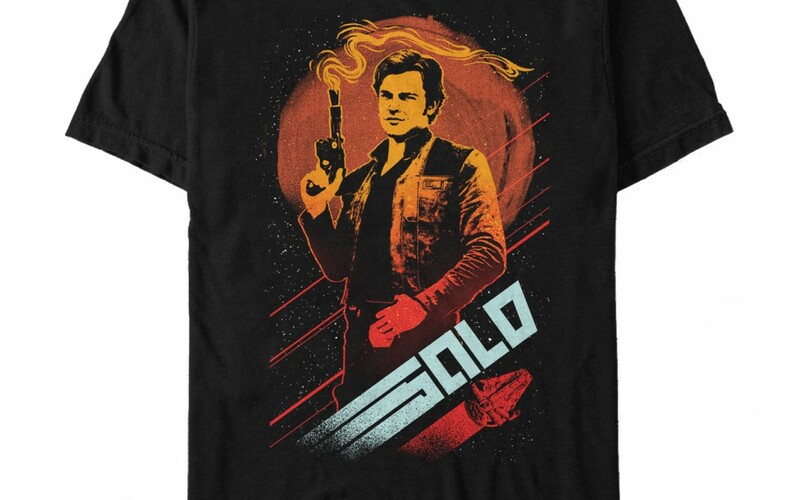 Walmart has debuted a brand new Solo: A Star Wars Story themed Smuggler’s Paradise men’s t-shirt! This t-shirt costs $26 and shipping is free. Lando and Han may not agree on a lot but they can agree that the Solo: A Star Wars Story Smuggler’s Paradise Men’s T-Shirt is the best shirt for the smugglers out there! A cool striped graphic shows off the cosmos and a spaceship on this cool men’s Solo shirt. 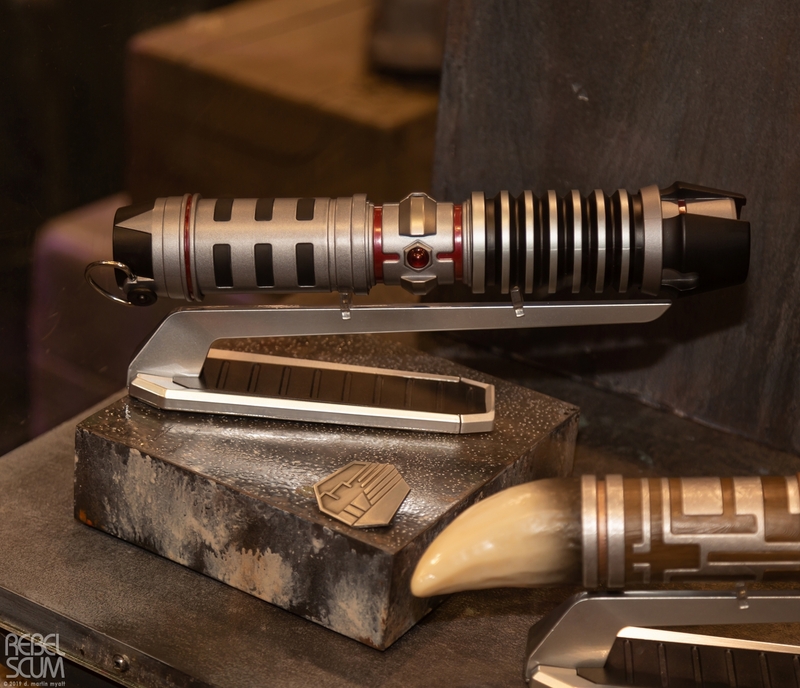 New Star Wars Celebration Chicago 2019 Galaxy’s Edge Exclusive Items Revealed Part: 7! 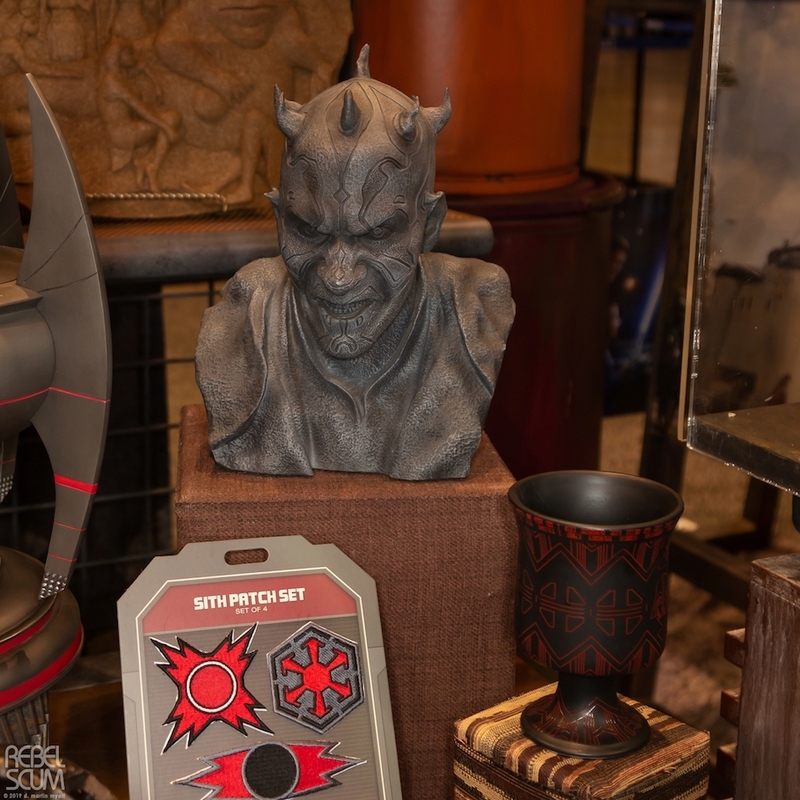 Rebelscum.com has unveiled more brand new merchandise from the Galaxy’s Edge booth including new character antique busts that will be available in the Disney parks. 1. 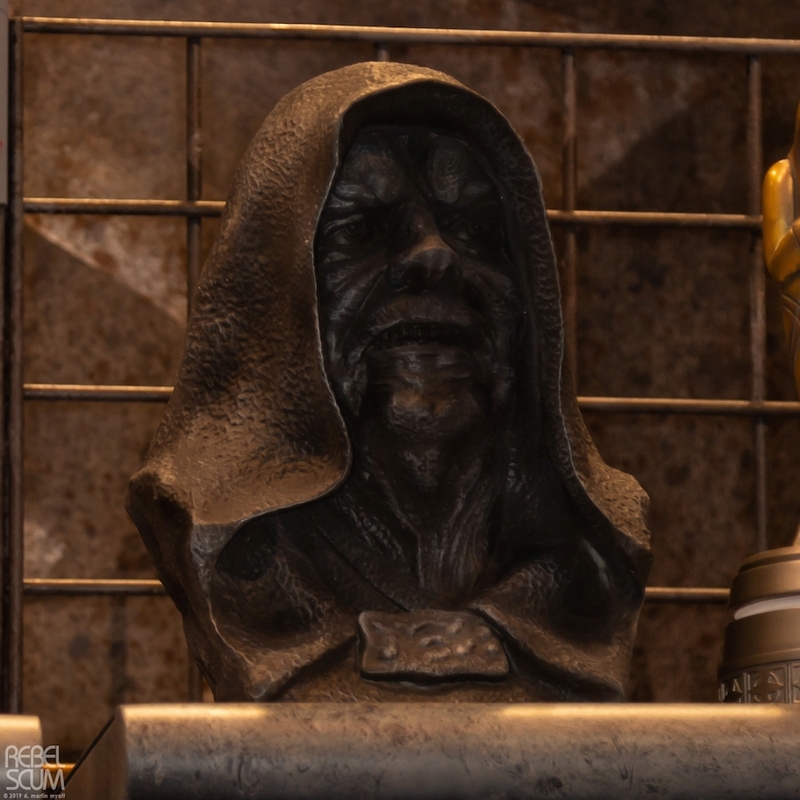 Star Wars Emperor Palpatine (Darth Sidious) Antique Bust. 2. 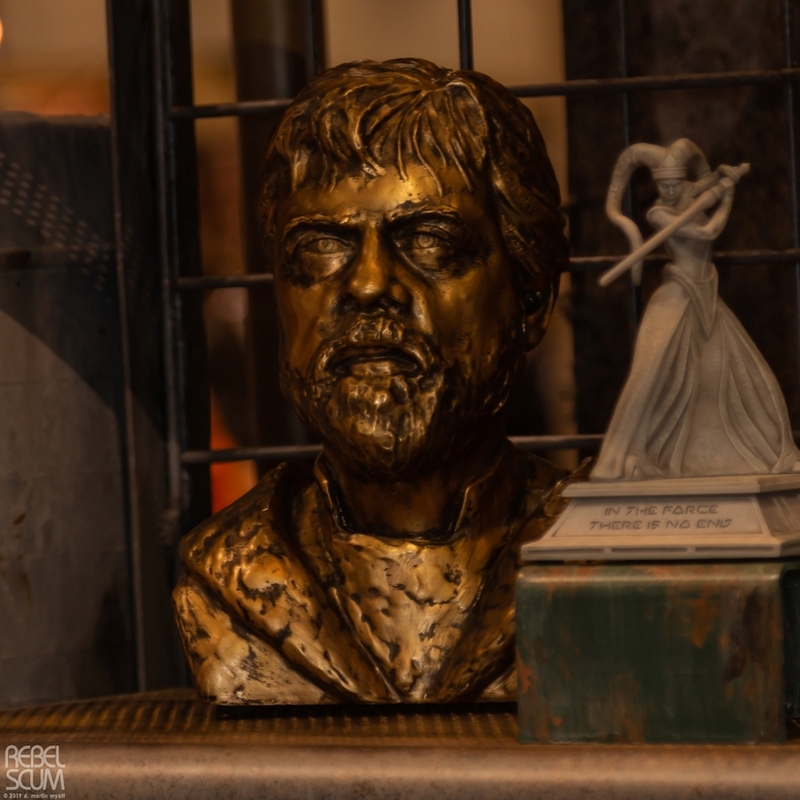 The Last Jedi Luke Skywalker Antique Bust. 3. 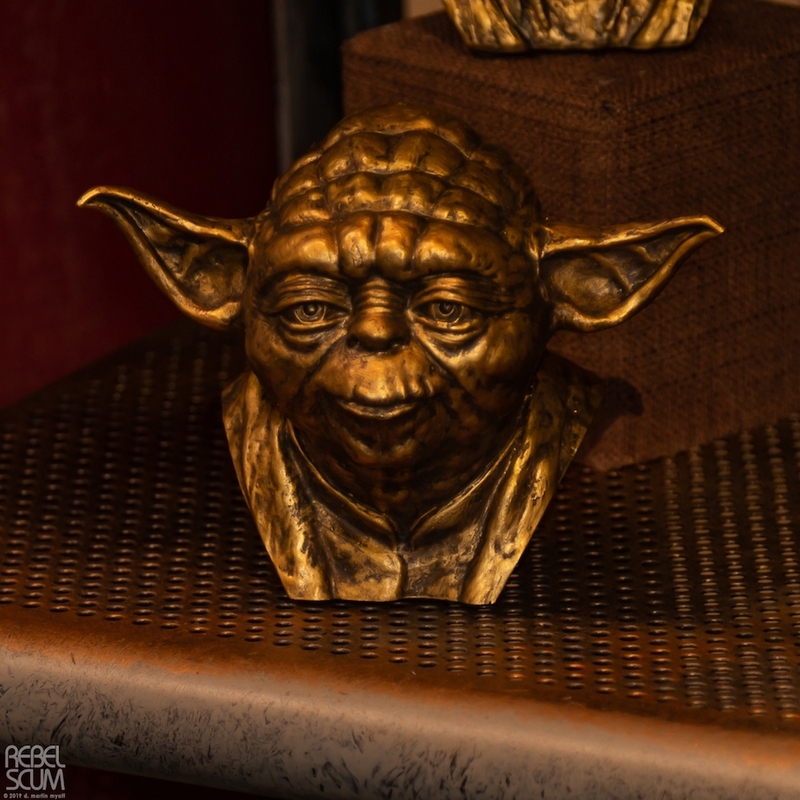 Star Wars Master Yoda Antique Bust. 4. 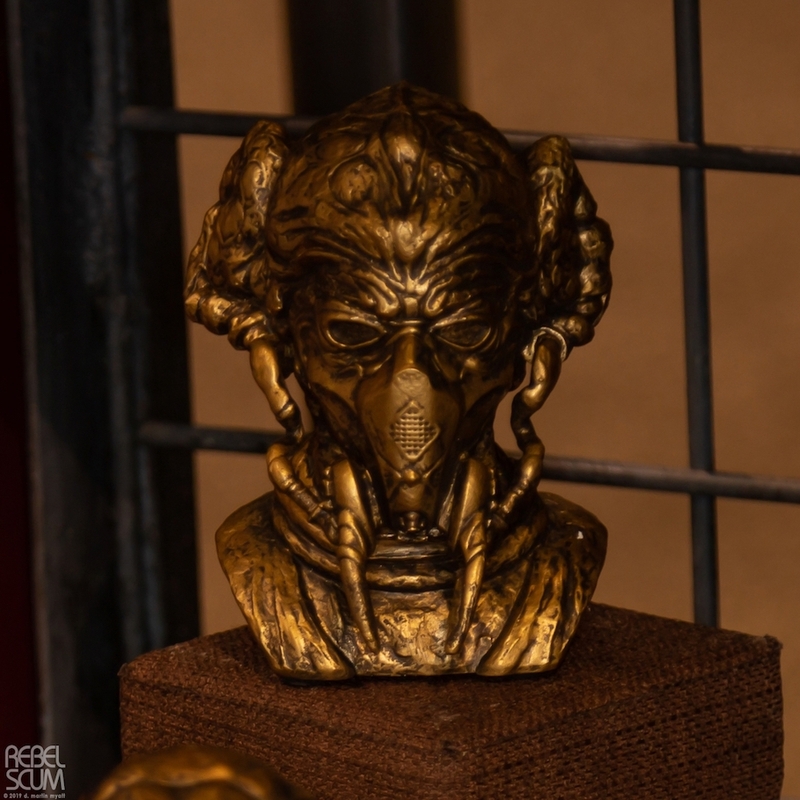 Star Wars Master Plo Koon Antique Bust. 5. 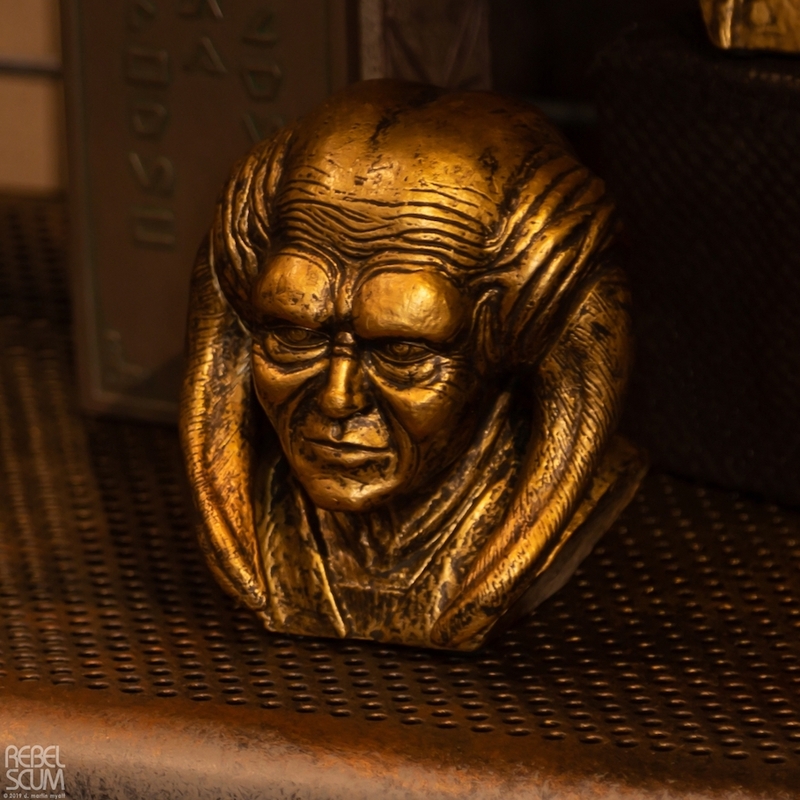 Star Wars Master Saesee Tiin Antique Bust. 6. 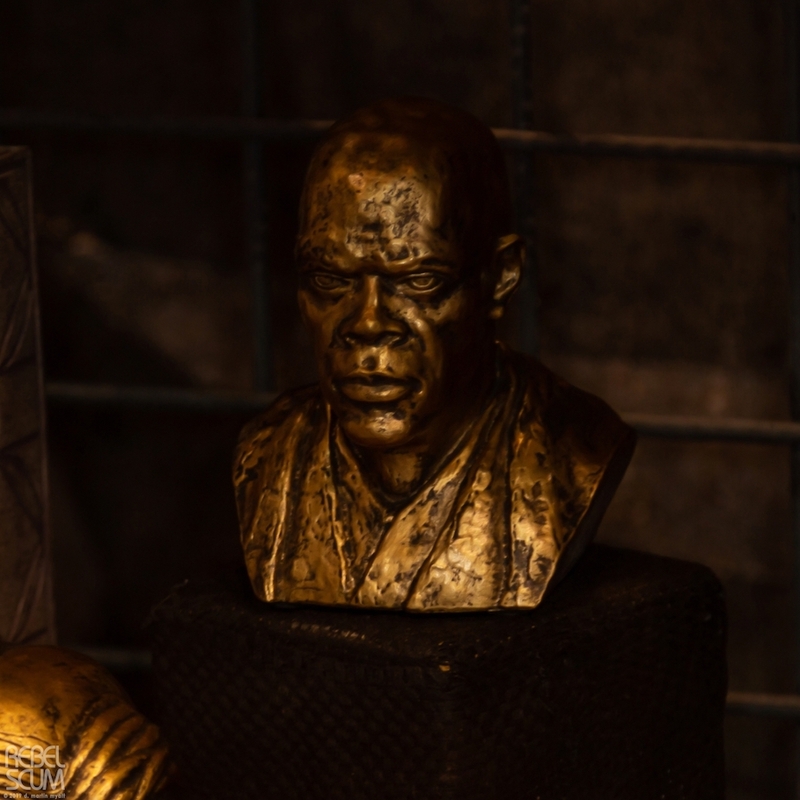 Star Wars Master Windu Antique Bust. 7. Star Wars Darth Maul Antique Bust. 8. 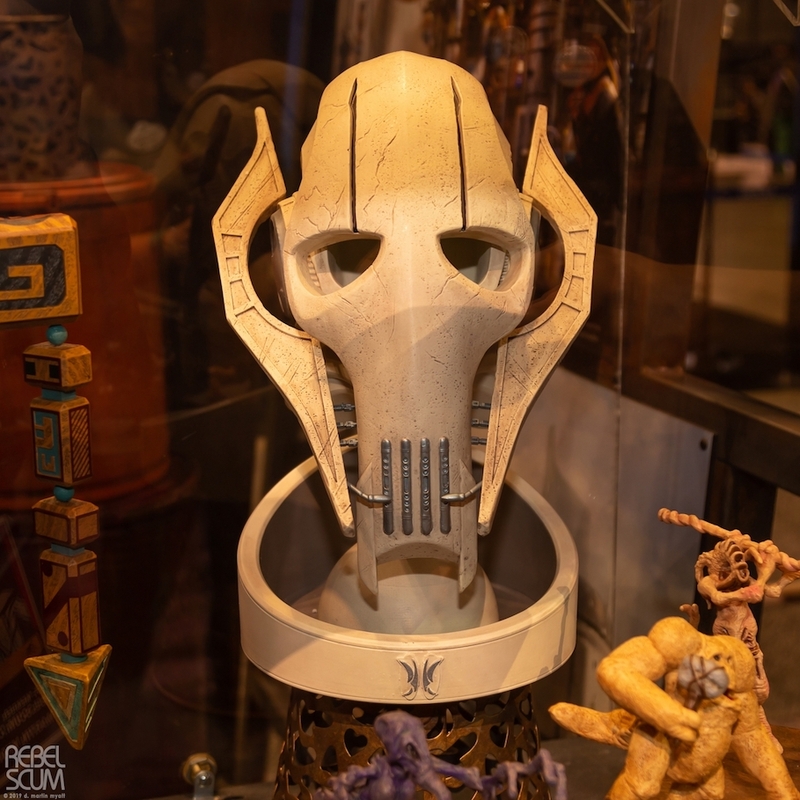 Star Wars General Grievous Antique Bust.